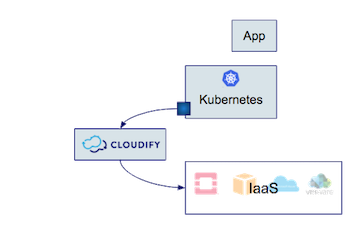 Learn how Cloudify connects Kubernetes with the rest of the world. Kubernetes is a cloud native platform by design. That means it was built for the cloud world. However, most companies have heterogeneous architectures and workloads that require each piece to talk with one another. With open source orchestration, Cloudify makes Kubernetes interoperable with external services such as databases, services running on VMs, legacy applications, serverless workloads, and more enabling end-to-end automation that is not bound by any one specific platform. Read more about Kubernetes use cases with Cloudify below. Edge computing and Internet of Things (IoT) are the new distributed networks and changing how network automation is evolving. With millions of devices a lot of data is generated at the edge and real-time decisions need to be made locally, and not in one centralized place. Orchestration for Edge Computing presents some difficulties such as the need for edge orchestration to continue without an active internet connection, the need for each point to be secure with proper access, and the ability to scale to millions, even billions, of devices. Kubernetes is a light, fast, and scalable container orchestrator that is ideal for use on edge devices. With our low footprint capabilities orchestrating and managing Kubernetes clusters and application deployments from day 0 to day 2, Cloudify is a perfect fit for any edge computing workload. Kubernetes is the poster child for container scheduling, management, and orchestration. If you're running your containerized application in a single cloud or infrastructure, you're good with single Kubernetes pod/cluster. However, what if you want to build a hybrid application which will run in a multi-cloud environment? Need more than one Kubernetes cluster? How do you simplify instantiation and lifecycle management? For these use cases, you need proper orchestration - and this is where Cloudify comes in. 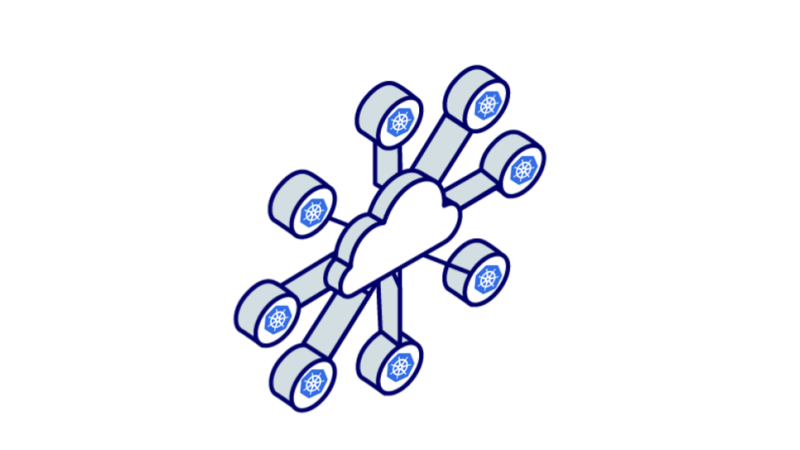 Cloudify provides infrastructure management capabilities such as instantiation, auto-healing, and auto-scaling. From a lifecycle management perspective, Kubernetes is just another "infrastructure" that Cloudify is able to orchestrate - just like AWS, Google Cloud, Azure, OpenStack or VMWare. Cloudify ensures your cloud-native applications can be deployed, healed, scaled, and managed on multiple clouds as well as non-containerized environments simultaneously. 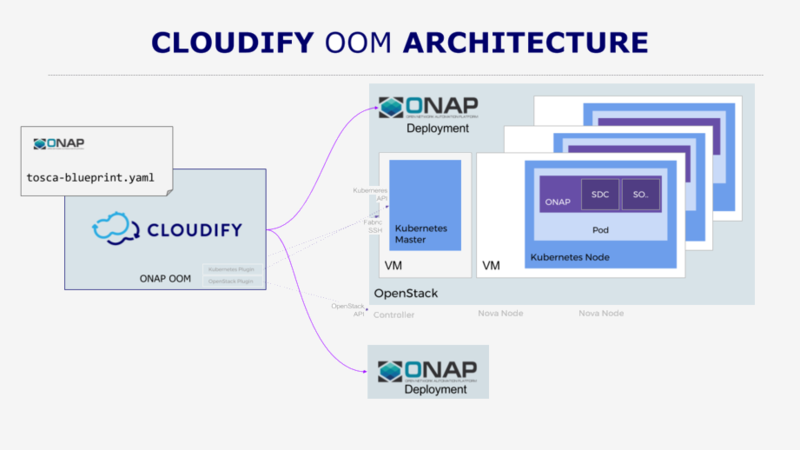 ONAP has made significant progress with its plan to build the de facto open source platform for orchestration and automation of physical and virtual network functions. One of the ways it has taken this mission a step further is by integrating Kubernetes which is utilizes to contain the various ONAP components. Cloudify is proud to be a code contributor to a number of core components including the OOM, and with the integration of ARIA on the service orchestration layer. Telcos are already lining up to implement ONAP and Cloudify is the orchestrator of choice for those workloads. This Cloudify Kubernetes Plugin enables users to create and delete resources hosted by a Kubernetes cluster (which you can deploy using Cloudify as well). With this plugin, users can add new nodes to a cluster, orchestrate hybrid cloud scenarios with regular services and microservices in a single deployment, associate pods with particular nodes in your cluster, and more. The Cloudify Kubernetes Provider will allow users to utilize Cloudify as the infrastructure manager for K8s, meaning you can scale and autoscale nodes natively, configure networking and load balancing, have storage and compute customization, and native multi-cloud support. The Provider also enables auto-scaling of nodes, Kubernetes management of infrastructure lifecycle, and an open infrastructure with native Kubernetes interface. The Kubernetes Service Catalog offers the option to connect external managed software natively into the Kubernetes user interface. For Cloudify users who are looking to orchestrate their blueprints from within the Kubernetes UI, or via kubectl, the Service Broker implementation allows just this. If you are a Kubernetes-centric organization, but still need to connect non-K8s services with Kubernetes, Cloudify's native integration is just what you need. Helm is the Kubernetes package manager, responsible for installing and managing Kubernetes applications. Combining Cloudify and Helm provides the flexibility to natively deploy Kubernetes workloads on a cluster as part of a TOSCA topology. So, not only can you deploy your applications with Helm charts, but using TOSCA, a user can deploy applications on Kubernetes as well as on bare metal, VMs, and more enabling a multi-cloud scenario without getting rid of your existing Helm charts.